The other day I got this pushed through the door! As I read the card I had the same reaction as I do to the unsolicited junk mail from Saga! Why does somebody think I’m a lonely old woman in need of company? 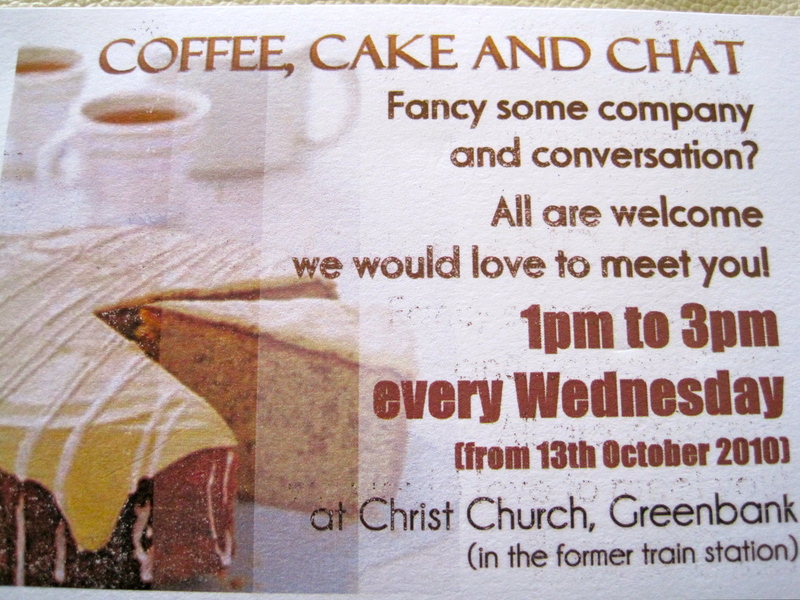 I cannot imagine anything worse than turning up to have coffee & cake with a bunch of complete strangers, never mind the fact that are a ‘holy’ bunch of strangers presumably out to save me! The only thing that stirred my curiosity a little was to see how an old railway station has been turned into a church. The station building is no longer used but the trains still run regularly and stop to pick up and drop off passengers which must be a bit distracting during services. However, my curiosity isn’t great enough for me to succumb to the invitation. Old I might be, after all I was born before the dinosaurs, but in need of company? NO! I’m independent, self-sufficient and very happy with my own friends and family and indeed with my own company! So come every Wednesday from 1pm-3pm, I won’t be there! I love Marmite! It’s my favourite spread to have on hot buttered toast. Today, I succumbed to the advertising campaign and bought a box of six 25g bars. Having just tried one I wonder what is the point of them? They look like all other cereal bars but I was so disappointed that they didn’t give me the kick of Marmite I expected. An inspection of the ingredients showed that they are a mixture of wheat, rice & oat cereals, soya kernels and 16% Marmite. Salt is mentioned twice in the list but, interestingly, there is also barley malt extract, rice starch syrup and sugar. I know Marmite is one of those tastes you either love or hate so is the addition of the sugars an attempt by Unilever to appeal to the haters. If this is so I fear they’ve missed the boat! 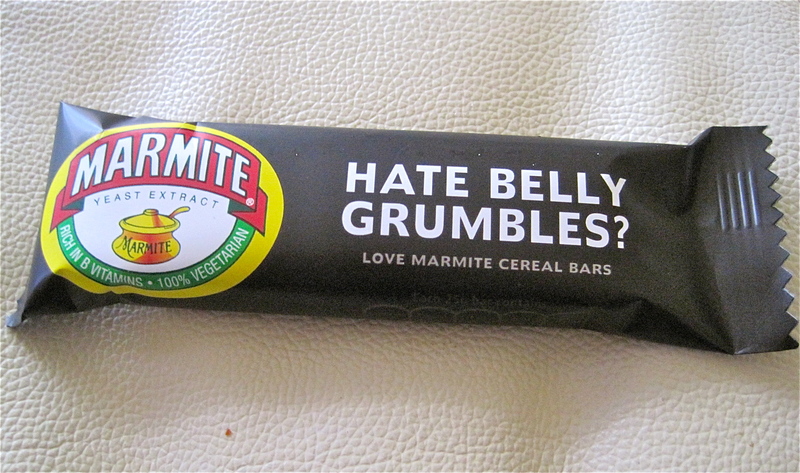 The bars aren’t sweet enough to appeal to the haters and aren’t Marmite(y) enough to suit the lovers. Don’t think I will want to try another so now need to find someone else to willing to give them a try. I’ve got five bars going free!